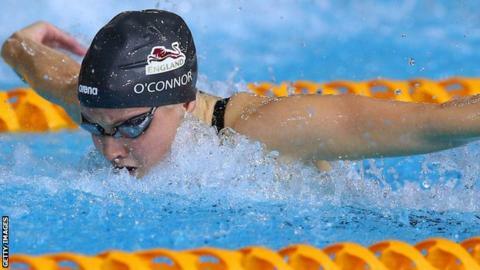 Teenager Siobhan-Marie O'Connor was the pick of the British performers as the team won a further six Fina World Cup medals in Singapore. On the second and last day of the final leg in the series, the 18-year-old took silver in the 100m individual medley and bronze in the 100m freestyle. James Guy swam a personal best for 200m freestyle silver and Georgia Davies claimed silver in the 100m backstroke. Great Britain won eight medals on the first day, led by Fran Halsall's gold. Other medallists on the second day were Andrew Willis, with a 100m backstroke bronze; and Jazz Carlin, who came third in the 400m freestyle.